If High School Game, Here’s How to Break the Rules: A Cutting Edge Guide to Becoming Yourself. Her company, Motivation Management Service Institute, Inc. (MMS), has reached millions of people worldwide. She lives in Nevada and Santa Barbara with her husband and daughter. I am deeply honoured to introduce to you Dr. Chérie Carter-Scott. Aneeta: Hello, Chérie. Before I continue, let me say that I am deeply honoured that you have agreed to this interview. I have seen on your site http://www.drcherie.themms.com that you have been interviewed by people like Oprah Winfrey, Leeza, Ananda Lewis and Montel. For you to agree to be interviewed by us … I am really honoured. Thank you. Chérie: Thank you Aneeta for this lovely interview! Aneeta: Let me begin this interview by asking you about your philosophy in life? 3) People can have their lives be the way they want them. Aneeta: I would like to ask you a personal question and this relates to your name – ‘Chérie’. It is French, is it not? Do your ancestors then, originate from France? Aneeta: Let’s talk about this wonderful book of yours, If Life is a Game, These are the Rules. What triggered off the writing of If Life is a Game, These are the Rules? Chérie: I had written The Rules for Being Human in 1974 as part of a training in Coaching Skills which I designed in 1974. People liked them so much that they were shared with friends and loved ones around the world. When the first Chicken Soup for the Soul was published in 1993, roughly 20 years later, the Rules for Being Human were published on page 81 by Anonymous. A friend called me and asked if I wasn’t the author of the “Rules” and when I confirmed his assumption, he contacted Jack and told him that I was the author, I was given credit in the next printing. I then received calls, letters, and faxes from around 30 people asking if they could use my “Rules” as the skeleton for their book. I thought long and hard about who should be given this opportunity, when the light bulb light up in my head, “Why not me?” I have already four published books, and I was already an author. So I wrote a book proposal, and I sent it to my agent, who sold the book to Broadway Books (Random House), and it was published. Aneeta: That book has had a huge impact on my life. I was given a copy of the book by my mother over 5 years ago. My favourite is the story of Asad from The Speed of Light, by Gwyneth Cravens. I have since realised that I am not the only person to have been affected by your book I understand that you have a new book out – If Life is a Game, These are the Stories. What is this book about and can you please share a few of the stories from this new book? Chérie: The structure of the book is the same as If Life is a Game, These are the Rules, except instead of writing the philosophy, I gathered stories from around the world. The point of the book is to point out our similarities and show our connection in our humanity! The first story is from India and is in Chapter 1No one forces you to share. In fact, there may be judgments about your generosity to a complete stranger. Ultimately, you must listen to your inner wisdom and its dictates about your choices. Mr. Vijay Goel always surprised me with his unexpected yet delightfully affectionate outbursts. I relished the time I spent with him, playing games and horsing around. I, of course, loved the attention he gave me. He was so childlike in his enthusiasm, as we shared many experiences, and spent untold hours discussing the meaning of life. He believed life was an experiment that encouraged learning at every juncture. He loved the most simple and ordinary, yet at times did what appeared to be the most extraordinary. Years passed and without my noticing, I became a teenager. One summer, Mr. Goel invited me to join him on a journey to a special camp. I was slightly hesitant at first because none of my brothers or sisters, (five of them), were able to come. His enthusiasm convinced me that it would be the right thing to do. When I decided to join him, I had no idea what lay ahead of me. He had joined a group of activists who were trying to reshape a community in a backward village called Bishumpur in the state of Bihar (India). The locals living there were the Adivasis tribe. He and his team were various professionals from different fields of education, medicine, agriculture and psychology. I thought I was just accompanying Mr. Goel on one of our usual fun-filled adventures. Little did I know that this particular excursion was going to be an emotional encounter leaving a life-long impression on me. The journey was long and tiring. Mr. Goel proved to me that progress is made by intermingling one’s values and intentions. These people carried their daunting work of breaking through communication barriers and endeavoring to improve the living conditions of the Adivasis, the local tribe; they encountered every reaction with both passion and devotion. Mr. Goel felt confident of his ability to overcome obstacles. I had no idea of the dream that he had in his mind. I watched him open the treasure chest of his innermost thoughts and feelings. Facing problems of all sorts, making little or no headway in finding solutions, he pioneered a project that is making a difference. One day he came across an advertisement in the paper. It was an appeal to save someone’s life with a kidney donation. He decided to donate his kidney to the person who placed the ad in the paper. He wanted no remuneration, or acknowledgement for his generous act; nor did he discuss his decision with anyone because he wanted to avoid possible criticism. He completed all the medical tests. Time passed quite rapidly and before he knew it, it was time for the surgery. He booked his plane ticket and reserved his hotel. Before leaving for the hospital in Hyderabad, some 2000km from Delhi, he casually mentioned to me that he was going to donate his kidney to a stranger. He made me promise that I would keep the information confidential. I received a note written a night before the operation. It said, “It’s important not to feel weak before a test.” Sharing what was heart felt was the next block in building our relationship. For the next three days Mr. Goel was missing. All of his family members questioned me. Mr. Goel was very clear he wanted to make his own decision. I was torn between my loyalty to him and revealing the truth. Up to this moment, this had been the most intense experience of my life. Finally the day arrived when he returned home barely recovered from the surgery. All his family members waited to receive him and bombard him with questions. I watched him enter the hall and set his briefcase down on the floor. His gentle voice leaked through cherished greetings. My heart pounded. I looked up into his eyes, his head lowered and I saw in his eyes – the joy in his spirit and then in a flash his white teeth revealed a huge smile. I knew he had followed his heart. He knew from the look in my eyes that I had honored his secret. I secretly celebrated with him. The art of giving selflessly is a precious lesson. I learned it from watching someone give for no reason to a total stranger. Mr. Vijay Goel was my role model, but even more important, he is my father. The second story, I heard on the TV news. Each life has a purpose. Each life has its own timeline. We cannot know the grand scheme of things from our vantage point. What we can do is trust that everything happens for a reason. We can know that there are no accidents and things happen for a purpose even when it seems to make no sense at all. In a tiny village in Saudi Arabia, doctors advised the Jaroushi family that their daughter, who had an enlarged heart would die within a few weeks. Their only hope was if, by some remote chance, a heart with matching blood type could be found in time. Reem Al Jaroushi, a tiny, three-year-old Arab girl was waiting for the heart that could save her life. The doctors had told her parents that she had only had a few weeks to live. Her parents were only too aware that it would take nothing short of a miracle for their daughter to live. They prayed daily for the miracle that could save Reem’s life. It would mean finding the heart, that could match her blood type, integrate with her tissue and all before the appointed date. As the computers searched for a match, they found nothing. It seemed more and more hopeless with each passing day. Yom Kippur is the “day of atonement.” It’s the Jewish holiday when Jews ask God to forgive all the wrongdoings from the past year. It’s also the day their fate is “sealed” for the coming year. The Kaveh’s are a Jewish family, who hold the holidays as a sacred time. An event occurred that day that would change their lives forever. On the day before Yom Kippur, Yuval Kaveh, a vibrant eight-year-old boy was walking in front of his parent’s home in Tel Aviv. While crossing the street, Yuval was hit by a passing car. Yuval’s parents frantically rushed him to the nearest hospital where he died just hours later. At the hospital the doctors determined that Yuval’s lifeless body held a healthy heart. After they examined the blood type, the doctors entered the information in the computer. In Saudi Arabia, the technicians who were watching hourly to see if a matching heart had been found saw the incredible information on their screen. The doctors and technicians determined that this heart was the match they had been searching for. This heart that had the short life taken from it, could now give life to another. For a mother who had just lost a son, the importance was unquestionable. With selfless love, Yuval’s parents donated his organs to the hospital. They gave, along with the physical heart of their son, their own loving hearts. The Kaveh family had lost the sweet gift of their child however, they had given the matchless blessing of life to another child and her family. The third story is from Canada. Your experiences determine your perspective. You have the option to expose yourself to different points of view to broaden your perspective. Each person can open you up to new possibilities. I was aboard a plane flying home to Canada. I travel a lot and I pretty disgusted with the conditions in air travel these days. After being served my meal, I was ready to start complaining to the person next to me about the food, the uncomfortable seats, the delays, the general inconvenience. Her comment put everything into perspective. 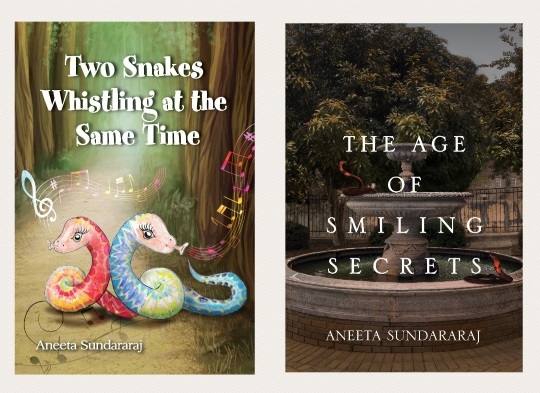 Aneeta: These are beautiful stories!! How long did it take you to collect all of these stories? It took me ten years to collect and rewrite the stories from these 40 countries! Aneeta: Now Chérie, take note that most of my readers live outside of the US. Like me, the closest many of them have ever got to The Oprah Winfrey Show is the television. As you have had the personal experience of being on her show, can you tell me, what was it like? Chérie: I have been on Oprah twice, once with Negaholics, and once with If Life is a Game, These are the Rules and both times it was great! Aneeta: We plan to mention this interview with you in the next issue of our bi-weekly newsletter, ,em>Great StoryTelling Network!In this issue, one of the things that we will be celebrating is the International Women’s Day on 8 March. To emphasise this special day and it’s meaning, I am going to ask you about your book, The Inner View: A Woman’s Daily Journal. Please tell us a little about this book. Chérie: One day I had a doctors visit and she asked, “How are you?” I replied, “On what level?” That started a conversation about how complex women’s lives are and how having so many variables to deal with makes it difficult to assess what the issues are and how to keep track of them. Ups and downs happen and in order to bridge the cause and effect, it is important to be mindful of what is going on, physically, emotionally, intellectually, interpersonally, financially, and spiritually. This journal helps women to track the cause and effect of the ups and downs in life and take more responsibility for their personal health. Aneeta: I note that this book was self-published. What was your experience in venture? Indeed, did this book pre-date If Life is a Game, These are the Rules? Chérie: Yes, we published it in 1993 because it is a journal to document your day-to-day wellbeing, and most publishers are not interested in that type of book. Aneeta: I also notice that one of the things you talk about in your leadership courses is ‘Women in Leadership’. In the past 25 years or so since you began the MMS Institute, what has been your experience as a woman in the role of a leader? Do you see much change in the way things are run now, whether globally or nationally? Chérie: I have seen many things change in the last 30 years. The good news is that more opportunities have opened up to women, the bad news is that the glass ceiling is a thick as ever at a certain level. More men are supportive of women’s empowerment, but more women get discouraged and when reevaluating their values and priorities choose the place where they feel they can contribute and make a difference. Aneeta: Am I right to say that your MMS Institute has now gone world-wide? If so, can you please give us some information about it? Chérie: Yes, it became international in 1988, and then when If Life is a Game became published in 40 languages, we definitely became global. Now, for the next 30 years, we are granting licensing agreements to professionals, teachers, trainers, coaches, and health care professionals to teach one or more of our thirty-three courses in their own back yard! This is to pass the torch on to the next generation and let the work spread to every corner of the Earth! Aneeta: As the focus in my website and the newsletter is to provide a free platform for authors, motivational speakers, business writers, copywriters, corporate storytellers and many others to participate and create a melting pot of people who then share their ideas, resources and thoughts, what advice would you give to these people if they are hesitant about taking the first step to realise their dreams? Chérie: The first chapter of If Success is a Game out lines the key steps to having a vision…and it is on audio tape in case people like to listen to my voice. 1) What is important to you? 2) When are you the most joyful or happy? 3) How do you prefer to spend your time? 4) If there were no financial concerns, how would you spend your time? Answer these questions and look at what the information tells you…listen to your inner wisdom! Aneeta: Well, Chérie, we have come to the end of this interview. I would like to thank you, once again, for agreeing to this interview. I wish you success with this new book and to conclude, is there anything else you would like to add? Chérie: If your readers are interested in teaching, training or using the body of work that I have spent the last 30 developing, then have them go to the website www.themms.com and see our licensing program is for them. If it isn’t, perhaps they would like to order some of our books and tapes? I am also available as a coach (for a fee) in case they want closer contact. Aneeta: Chérie, on behalf of my readers and myself, thank you, once again. Chérie: Thank you Aneeta for this opportunity! Blessings.